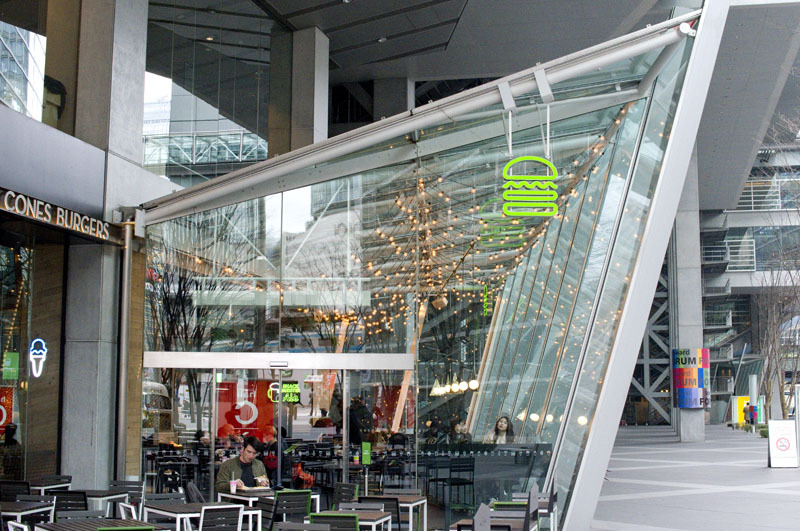 Occupying an annex of the Rafael Vinoli-designed Tokyo International Forum, this is probably the most architecturally adventurous branch of the popular burger shop. 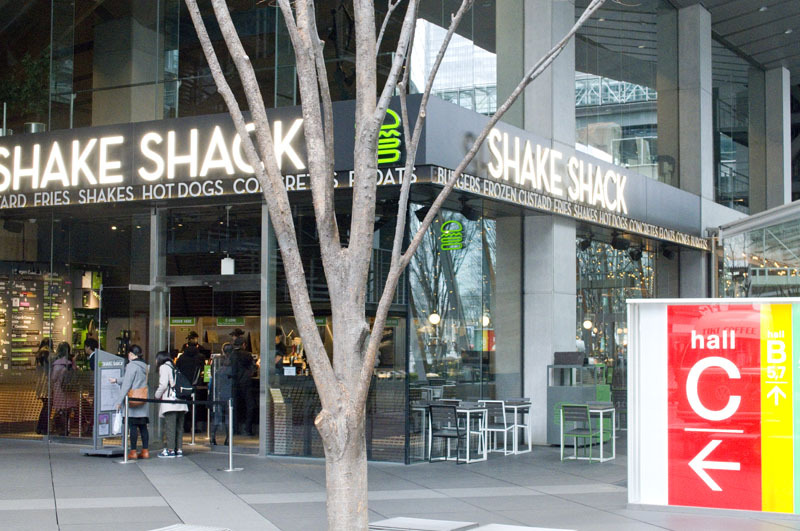 Angus-beef burgers, flat-top hot dogs and unique frozen-custard desserts are the draw at this New York-based fast-casual chain. Beer on tap is from New York's Brooklyn Brewery, while wine by the glass or bottle is from Frog's Leap winery in California. Chiyoda-ku, Marunouchi 3-5-1, Tokyo International Forum 1F.